Relying heavily on outside hitters Nora Troppmann and Kaitlyn Meyer, American River College’s volleyball team overwhelmed Cosumnes River College with its power attack in three sets Wednesday, winning with scores of 25-14, 25-11, 25-22. Troppmann was the focal point of ARC’s offense, continually finishing off big plays with kills. “She’s one of the most consistent and effective hitters we have,” said Taylor Ladines, the team’s libero. Ladines also said CRC showed prior to the match they might not be able to handle Troppmann. Ladines along with head coach Gabe Gardner said Troppmann’s confidence is one of her biggest assets. “When Nora really stays aggressive and confident, she’s a really great player for our program, and fortunately she did that tonight,” Gardner said. Sophomore middle blocker Erianna Williams has missed the last two weeks due to a shin injury, and said she won’t be back for a couple more. Troppmann said she’s brought it upon herself to do more and be a leader in Williams’s absence. The first set started with both teams exchanging points early as CRC contained ARC’s power attack briefly before ARC started to pull away. Gardner made no substitutions in the match until the start of the second set. “(It was) just to let the girls get going,” Gardner said. ARC showed no signs of fatigue, and built over a 10 point lead early in the second set and never relented to a 25-11 set win. “We played really well to keep (the ball) in our control and play our game,” Troppmann said. In the third set, neither team went on a run or built a sizeable lead. The first point of the set was CRC’s only lead throughout the match, and ARC never led in the set by more than three points. “We didn’t really come out fighting in the third set like the first two and that kind of sunk us down,” said Ladines on the close score. Troppmann said CRC made changes after poor play in the first two sets. “Their defense started to adjust to our hits. And as hitters at the net, we started to overthink our plays when we should’ve just kept the ball in our control,” Troppmann said. CRC called several timeouts throughout the match, including two in between just one point near the end of the third set. 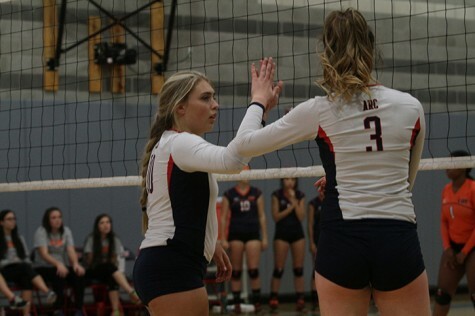 CRC scored the next two points, but ARC would end the match with a 25-22 win in the third set after outside hitter Katie Herrington hit match point over the net. ARC is now 16-5 overall and 6-1 in the Big 8 Conference. 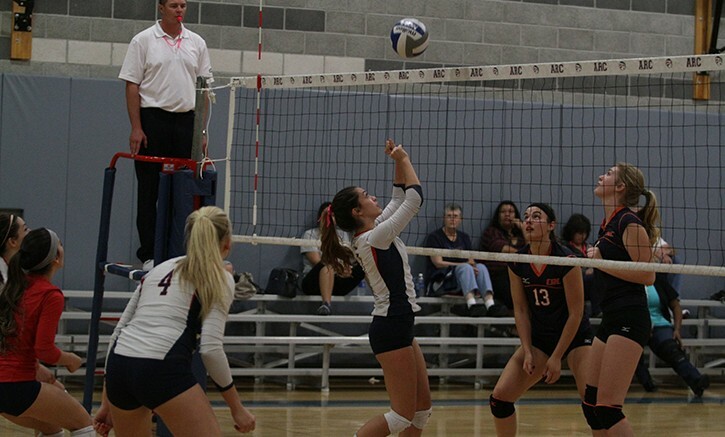 Be the first to comment on "ARC volleyball bests Cosumnes, improves to 16-5"